Todd Robinson’s political drama “The Last Full Measure” is beginning production in the Atlanta area and casting directors have released a casting notice for Atlanta locals who would like to tryout for a paid extra role in the movie. “The Last Full Measure” focuses on one of the bloodiest battles in the Vietnam war and the cover-up investigation that followed for many years. The story is described as one of the great untold stories of the Vietnam era. The film follows a Pentagon investigator Scott Huffman, played by Sebastian Stan as he takes on the Washington political machine in an attempt to award a medal to a fallen hero during the Vietnam War. Huffman teams up with veterans of the operation and the group takes on trying to convince Congress to award the Medal of Honor to a soldier named William Pitsenbarger. Pitssenbarger (known as Pits) was an air force medic who saved the lives of over 60 Marines before he fell. After the last helicopter left, he still returned to pick up more injured until he was finally shot down. 34-years after his death, Airman William H. Pitsenbarger, Jr. (“Pits”) was finally awarded the nations highest military honor for his actions on the battlefield. 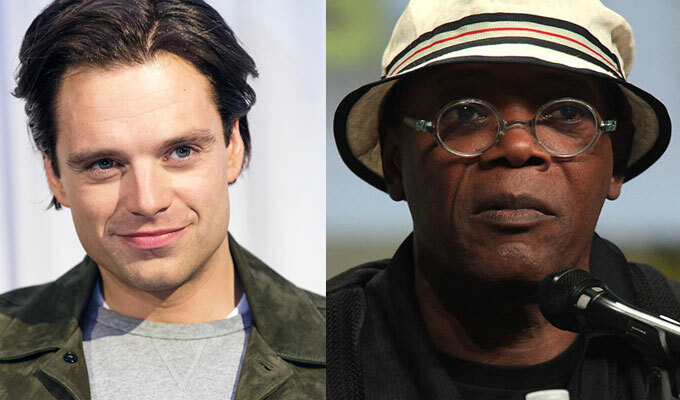 According to the films IMDB page, the movie stars Samuel L. Jackson (Kong: Skull Island, Avengers), Bradley Whitford (Megan Leavey), Sebastian Stan (Captain America: Winter Soldier, Logan Lucky, Avengers Infinity War, Ant-Man), Christopher Plummer ( Cliffs of Freedom), William Hurt (Captain America: Civil War), Linus Roache (Vikings), Michael Imperioli (Lucifer), Diane Ladd, John Savage (Star Trek Equinox: The Night of Time), Max Gail and Dale Dye (The Green Ghost, Falling Skies). Be sure to also check out all the other movies and shows casting in Atlanta. – Ages 21 to 45!!! NEW FACES – OR – REPEATS OK if you worked our other Pentagon scenes OR other scenes and were not featured! and put “SAT PENTAGON” in the subject. (one of from shoulders up and one from the knees up- your hair color and length should be visible in at least one photo). A photo of you in uniform is ideal if you are military! SIZES: YOU MUST INCLUDE THEM! NOTE: YOU MUST BE LOCAL TO THE GREATER ATLANTA AREA or able to work locally in Atlanta (at your own expense). Please see the casting director’s site for more information on getting cast for the roles. I am interested in being an extra in any Georgia based, or Atlanta base productions please let me know how to submit headshot, etc. I am 47 years old an have some acting experience.